The last couple of months, many of the projects I work on took big steps forward. Below is a short update on what I have been keeping myself busy with. It was again a great period for project Rotterdam, I Love You, an urban movement with a feature film at its core, proudly celebrating this city’s creativity, diversity and love. We are now in the process of selecting the eleven directors who will each create one of the eleven stories we will be telling in the feature film – so we’re in a very important and exciting phase of the project. We are talking and reaching out to an exciting shortlist of prominent directors from the UK, Germany, Italy, China, Belgium, Canada, Denmark, France, Mexico, the Netherlands, and many more countries. We will start announcing the first names soon. You have a plan for a wonderful, special film. But you have no money, a network that is too small, and hardly a track record with the traditional funds. How do you make sure your film gets made anyway? 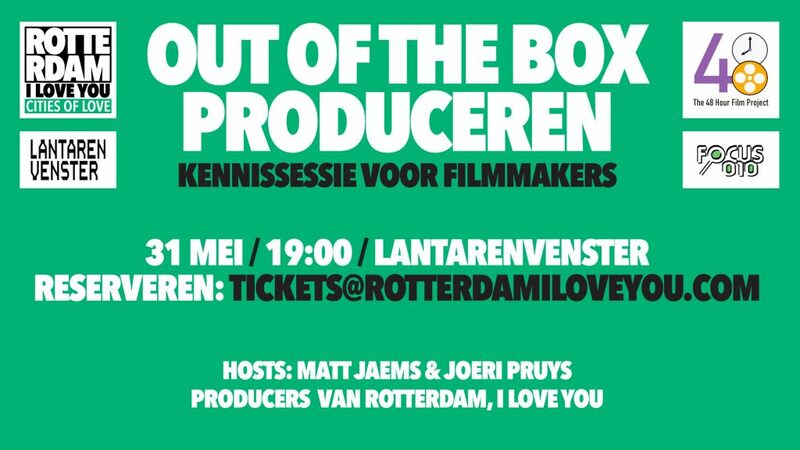 Matt Jaems and Joeri Pruys (Rotterdam, I Love You) talk with multiple guests how to produce ‘out of the box’. With stories from the trenches, tips and lots of room for your questions and input. The session is being co-hosted by 48 Hour Rotterdam. After the session FOCUS 010 hosts a networking borrel. There are still (free!) tickets left, so if you are a Dutch filmmaker, be sure to reserve a ticket by emailing to tickets@rotterdamiloveyou.com. 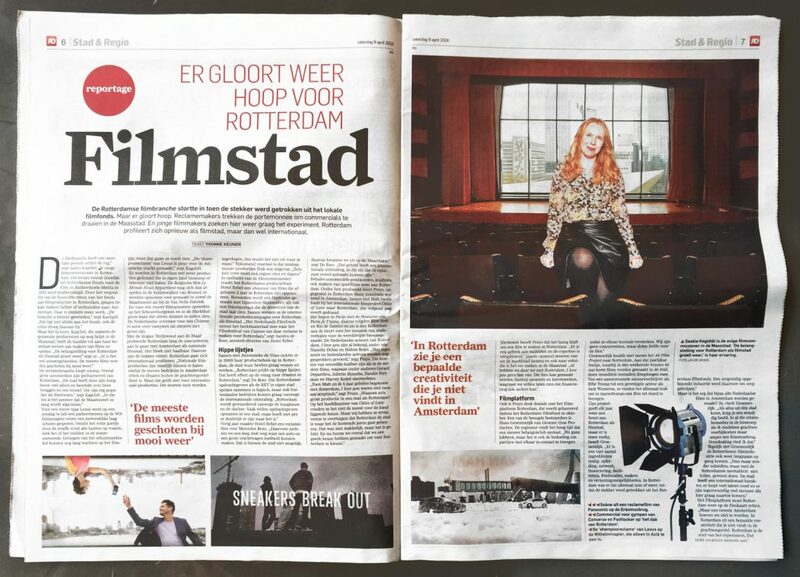 National newspaper Algemeen Dagblad wrote an extensive article on the resurrection of the Rotterdam film sector. I was interviewed on behalf of Rotterdam, I Love You alongside our partners HotelRebel, 48 Hour Film Project Rotterdam, and the Rotterdam Film Commissioner. AD sees our collective efforts to invite filmmakers and big productions to Rotterdam as the driving force behind a newly vitalized film sector. Read an English translation here: http://rotterdamiloveyou.com/team-news/algemeen-dagblad-a-glimmer-of-hope-for-film-city-rotterdam/. In the wake of such great exposure for Rotterdam, I Love You, I was also interviewed by prominent Rotterdam radio station Radio Rijnmond about the project. We spoke about all the ways we involve the entire city in the process of telling the true stories or Rotterdam to the world. Listen to the (Dutch) interview here: http://www.rijnmond.nl/nieuws/141259/Gezocht-verhalen-over-het-echte-Rotterdam-voor-film. A project that was seemingly eternally in gestation is now almost ready for release: the short film Habitat I wrote and directed, and produced together with Ewoud Bon (who was also the film’s Director of Photograpy). The premiere date is almost set and will be announced shortly! The Blue Virgin (De Blauwe Maagd), the short film I wrote, is being pre-produced by a great, ever expanding team of professional and passionate filmmakers. I’m looking forward to the shoot in France this fall. 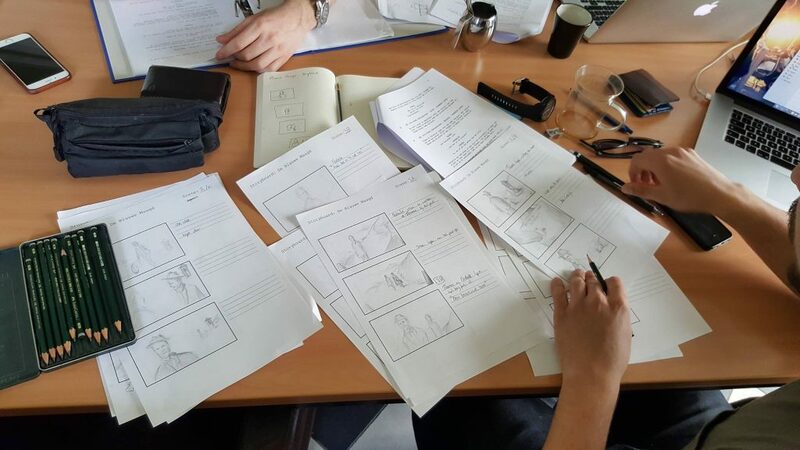 The photo below shows the development of the storyboard. Want to stay updated? Like our Facebook page! There are many other projects moving forwards as well (including a documentary I am producing and directing). I will probably give you some more details in the next update!